As you may have seen in another post, my son’s first birthday was a Yoshi-themed party. 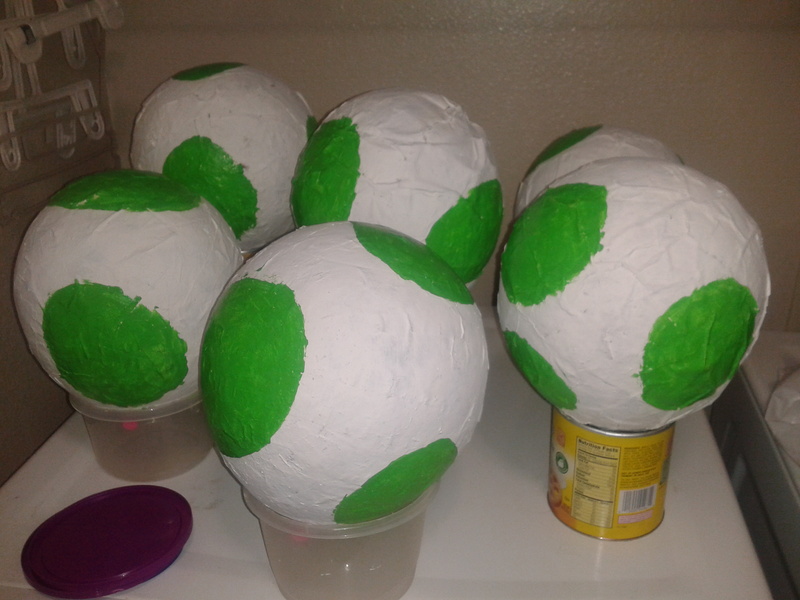 As centerpieces for the tables, I decided to make giant Yoshi eggs and fill them with candy. Boy am I glad we did papier mache in elementary school! And all it took was some newspaper, flour, water, and a pack of balloons from the dollar store. Add a little paint, et voila! I recommend that you find a well-ventilated place to let them dry. The flour paste could develop a pretty gross odor otherwise. I didn’t use any tutorial to make these, but one shouldn’t be difficult to find. Perhaps I’ll write one in the future.